2012 GMC TERRAIN SLE2 AWD 2.4L 4-CYL ENGINE, 6-SPEED AUTOMATIC TRANSMISSION, ALL-WHEEL-DRIVE SYSTEM, CLOTH SEATS, FRONT BUCKET SEATS WITH CENTER CONSOLE, POWER DRIVERS SEAT, REAR 60/40 SPLIT FOLDING SEAT, FOG LAMPS, AM/FM/CD RADIO, SIRIUS XM SATELLITE RADIO, 17" ALUMINUM WHEELS, NAVIGATION, TRIP COMPUTER, KEYLESS ENTRY, TRACTION CONTROL, CHILD SAFETY REAR DOOR LOCKS, ABS 4-WHEEL BRAKES, DAYTIME RUNNING LIGHTS, POWER WINDOWS, POWER LOCKS, CRUISE CONTROL, AIR CONDITIONING WITH CLIMATE CONTROL, LEATHER WRAPPED STEERING WHEEL WITH AUDIO CONTROLS, ROOF RACK AND MORE, COME BY FOR A TEST DRIVE TODAY. OUR VEHICLES COME WITH A MISSOURI SAFETY INSPECTION , SERVICED AND A POWER TRAIN SERVICE CONTRACT. ASK ABOUT EXTENDED WARRANTIES WE OFFER. IF YOU WOULD LIKE MORE INFORMATION ON THIS VEHICLE PLEASE CALL 417-683-1988. 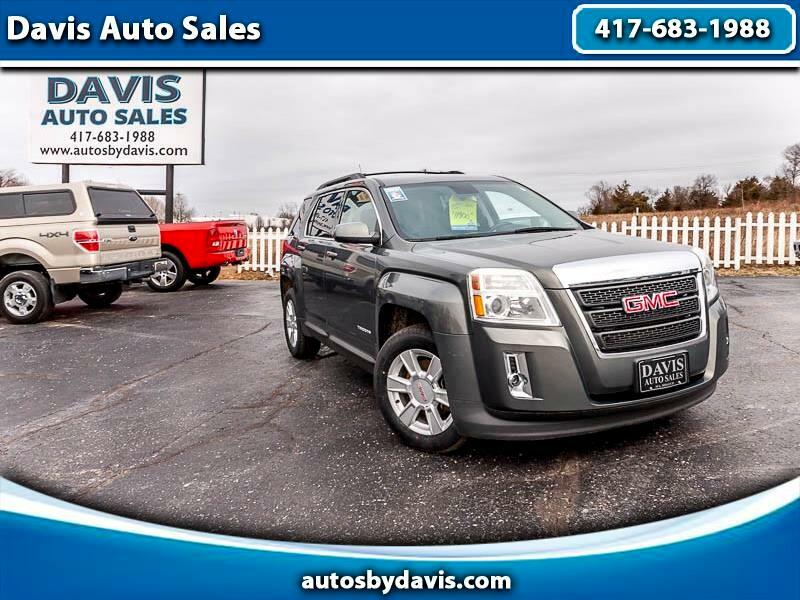 Visit Davis Auto Sales online at autosbydavis.com to see more pictures of this vehicle or call us at 417-683-1988 today to schedule your test drive.